In a tight-lipped statement, Baghdad rejected a call by US Secretary of State Rex Tillerson for Iran-backed Shia militias to “go home” after the demise of Islamic State in Iraq. Earlier on Sunday, Rex Tillerson said at a rare meeting with top Iraqi and Saudi Arabian officials that Iraq’s Shiite militias – also known as Popular Mobilization Units (PMU) – and their Iranian advisers need to leave Iraq as the struggle against Islamic State (IS, formerly ISIS/ISIL) is nearing an end. But Baghdad seems reluctant to go along with Washington’s request, judging by a polite but robust remark made on Monday by Prime Minister Haider al-Abadi’s office. The Iraqi government was surprised by Tillerson’s suggestion, according to the release. Foreign fighters in Iraq “need to go home and allow the Iraqi people to regain control,” the secretary of state said, amid US efforts to contain Tehran’s growing presence in the region. Meanwhile, Tillerson also called on other countries to sever business ties with the Iranian Revolutionary Guards Corps (IRGC), which the US itself recently designated as a terrorist organization. Tens of thousands of Iraqis joined militia units in 2014 after Iraqi Shia cleric Ayatollah Ali al-Sistani called for a national uprising against Islamic State terrorists by issuing a non-sectarian fatwa. Shiite PMU units were often referred to as part of the Iraqi security apparatus. 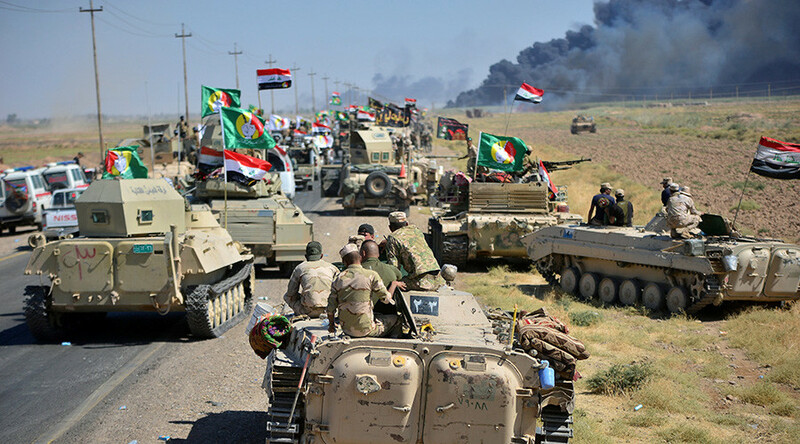 Though there are no official statistics, at some point PMU units numbered up to 100,000 fighters, according to US military estimates dated last year. The forces’ estimates ranged from 80,000 to 100,000, according to military spokesman Colonel Chris Garver. Iran has secured major strategic gains in the war against IS in Iraq over recent years, as it funded and trained the PMU which fought alongside the Iraqi Army in the battle of Mosul and other northern Iraqi cities. 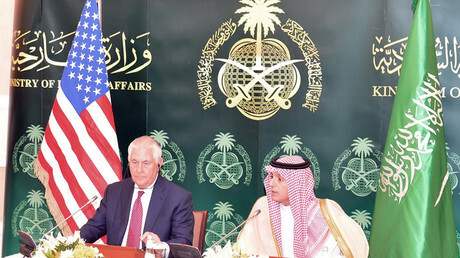 In contrast, US ally Saudi Arabia, a Sunni kingdom, has been on bad terms with Shiite-majority Iraq for more than two decades, after Saddam Hussein’s 1990 invasion of Kuwait, despite attempts to mend ties in recent years.